Is There a Statute of Limitations on Qui Tam Lawsuits? Nearly every lawsuit or legal action has a statute of limitations. A statute of limitations is the time limit within which the plaintiff, or person filing the lawsuit, can file a claim. Personal injury lawsuits in California have a statute of limitations of two years. Even criminal cases have a statute of limitations, although these will vary depending on the type of crime committed. When a whistleblower learns of wrongdoing, he or she also has the right to file a lawsuit, although these are different from personal injury or criminal lawsuits, even though criminal charges and damages could result from them. This has many wondering whether or not there is a statute of limitations on qui tam lawsuits. If there is, has that statute already run out? The federal False Claims Act provides broad protection for whistleblowers throughout the country. This Act is meant to limit the amount of fraud against the government by encouraging private citizens to come forward about known fraud, such as healthcare fraud. However, it only provides these protections for a certain period of time. It includes a statute of limitation of just six years from the time the fraud is discovered. While this may sound like a lot of time to file a lawsuit, it is not always. A person may want to ensure that what he or she has discovered is actually fraud, and that is usually more complicated than outright asking those involved. Qui tam attorneys will also often wish to investigate the case before filing it in court. This all takes time. Those in California, however, may have more time than they thought. While the federal False Claims Act provides only six years from the date of discovery of the fraud, California also has its own legislation pertaining to whistleblowers and fraud. This is the California False Claims Act. Under the California False Claims Act, whistleblowers have three years from the date of discovering the fraud to file a whistleblower claim. This may sound more limiting than what is provided in the federal legislation, but it is not. This is due to the fact that a whistleblower does not have three years from the date they discovered the fraud, but they have three years from the date a government official discovered the fraud after the whistleblower made them privy to it. This can include the attorney general, a prosecuting attorney, or even a city attorney or county counsel. As long as the government official is someone who has the authority to bring the case, the statute of limitations does not run out until three years after that government official discovers the fraud. The only limitation to this is that the government official must file the claim within 10 years of the date the false claim was made. It is tempting to sit on a qui tam claim, as many people are unsure of what to do after discovering fraudulent activity. 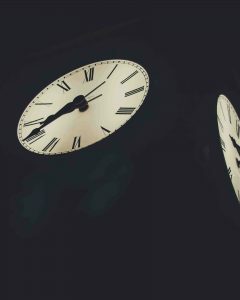 Even though California law offers a long statute of limitations, it is best to get the legal help necessary right away. A qui tam lawyer in California can provide that help, and advise citizens on filing their claims. If you have discovered a case of fraud involving the government, contact Willoughby Brod, LLP at (800) 427-7020. We represent whistleblowers who want to make things right, and we want to represent you, too. We offer free consultations, so call today before time runs out and let us start discussing your case. When is Healthcare Fraud Criminal?